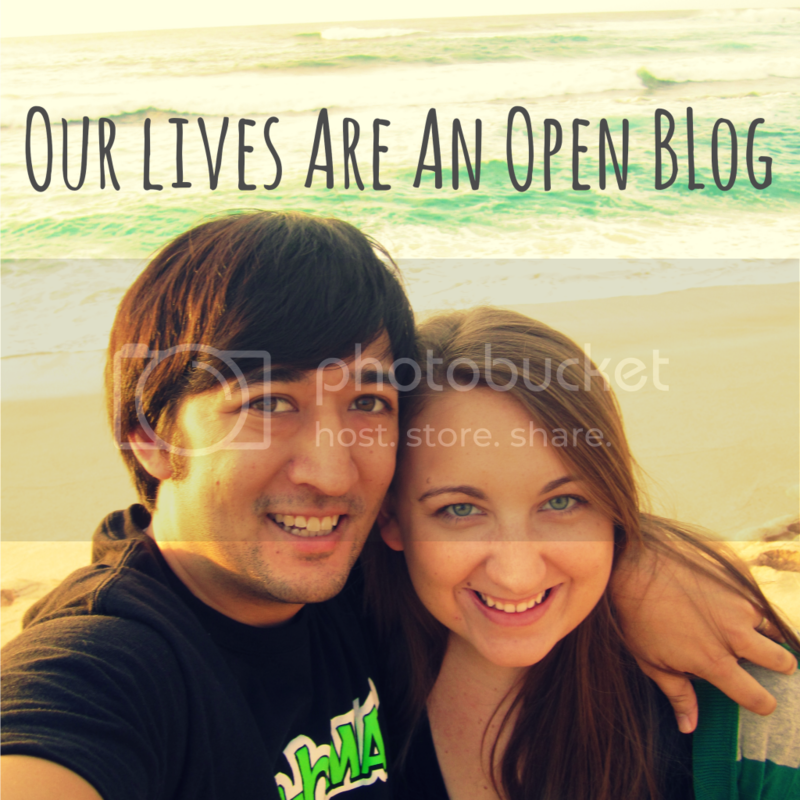 Our honeymoon was the first trip that we planned by ourselves. I'll admit that I only had a vague sense of how to find a hotel and surrounding activities, but looking back as a more seasoned traveler, I think we did pretty well for the first time. 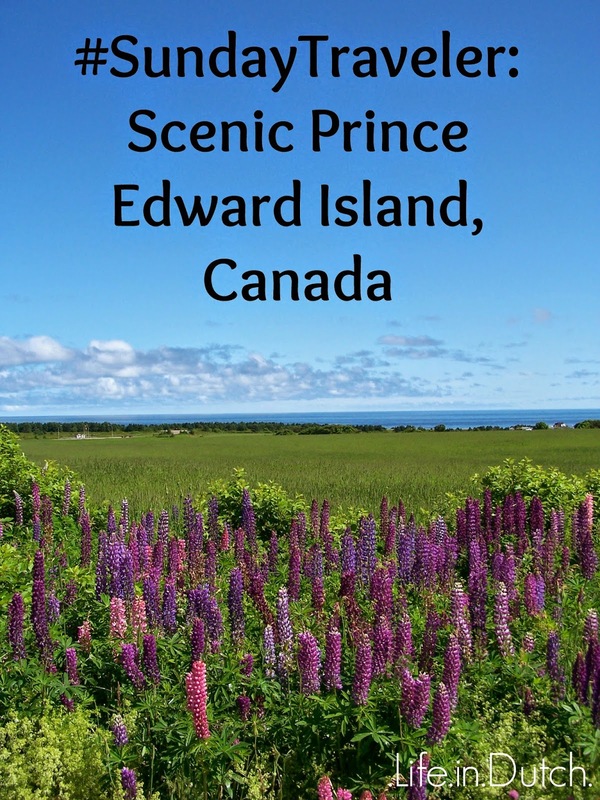 We picked Price Edward Island because it was within reasonable driving distance from Massachusetts (where we got married) and because I had dreamed of visiting ever since reading the Anne of Green Gables series as a girl and falling in love with the descriptions of the landscape. Mark thought the idea sounded good, too, so off we set. 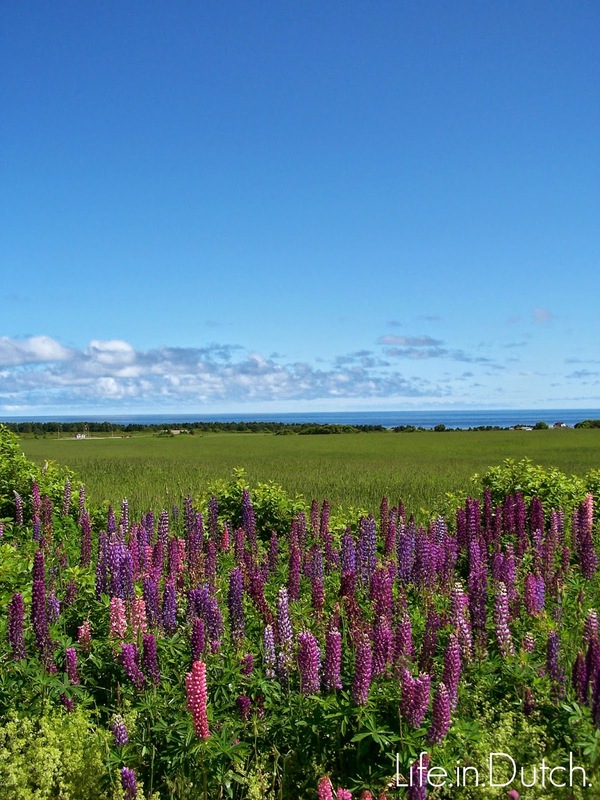 After arriving on Prince Edward Island (PEI), we had to check out some of the Anne of Green Gables-related locations in Cavendish. 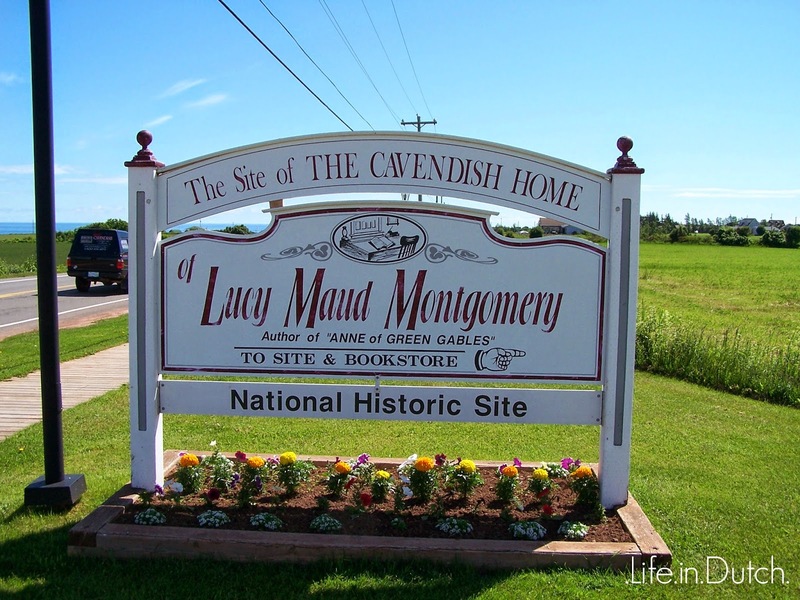 To start, we checked out the location of the home that Lucy Maud Montgomery lived in while a resident on PEI. 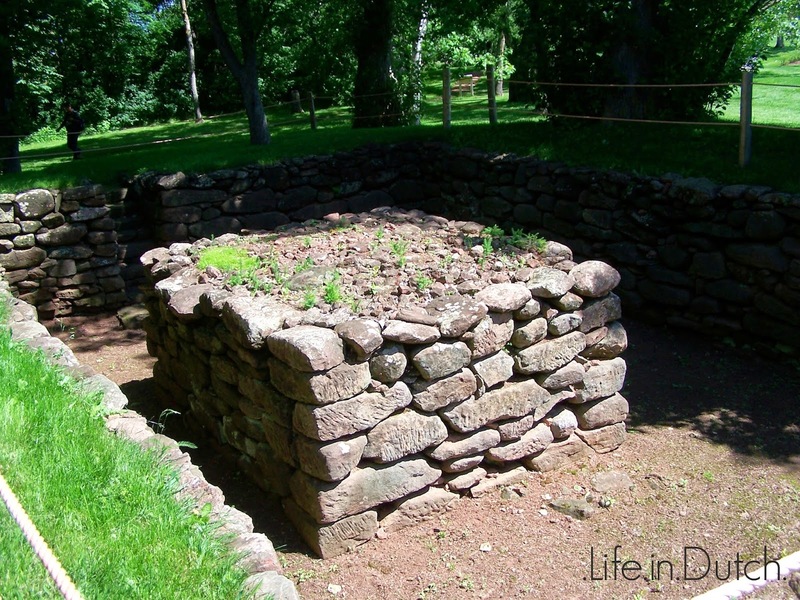 Only a foundation of the house remained, but being a history nerd, I always appreciate just having a moment in a space where others have been. 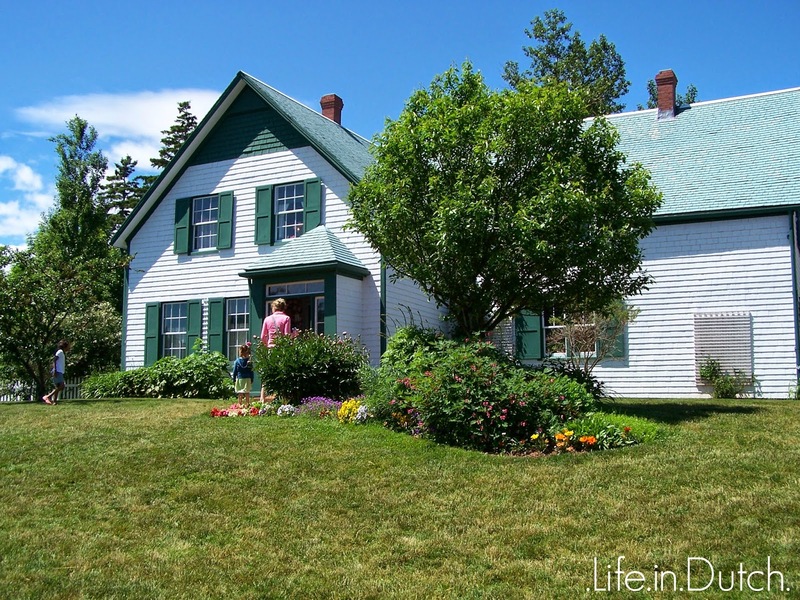 From Montgomery's home, you can walk along a wooded path, the setting of the "Haunted Wood" in Anne of Green Gables, to the Green Gables house. The house and gardens were beautifully kept and rooms in the house were set up to reflect the descriptions in the books. 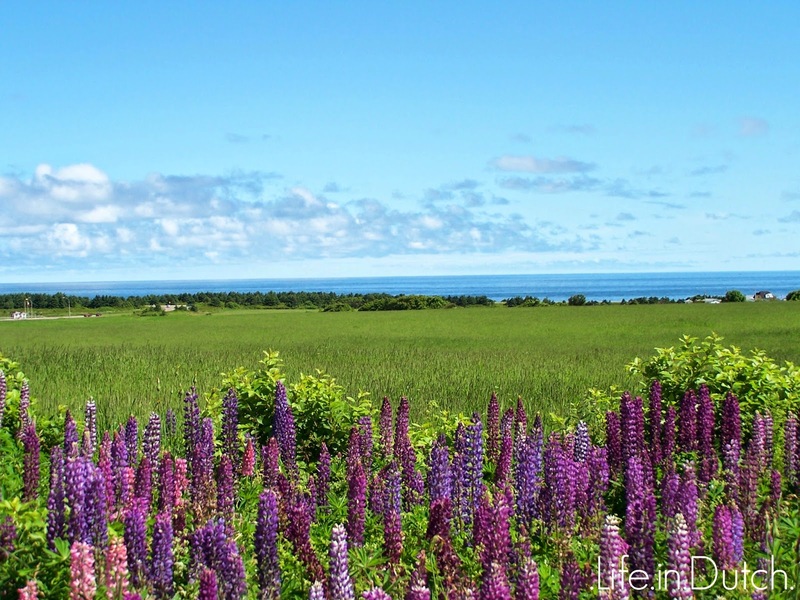 While the Anne-fans will enjoy the trips around the island to identify the places described in the novels, you really need to take in the breath-taking natural surroundings on the island. 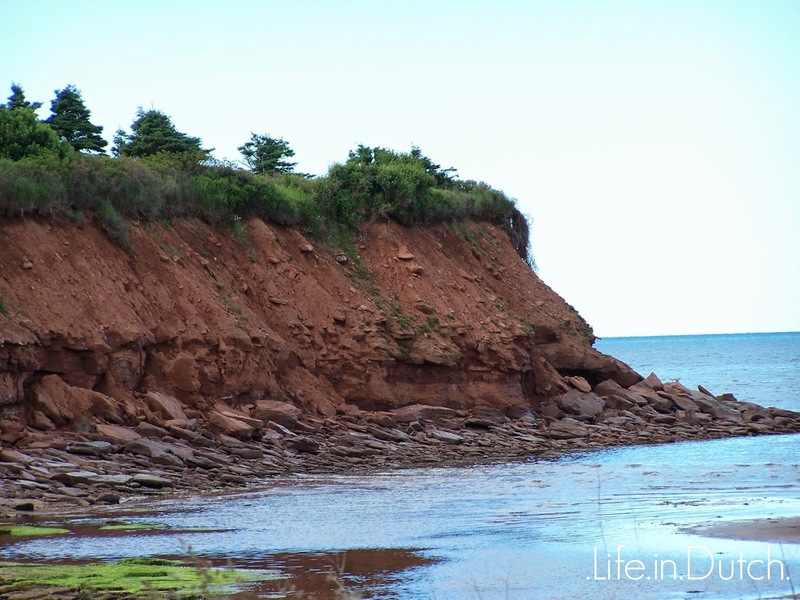 PEI is famous for it's brilliant, red soil caused by a high iron-oxide content. 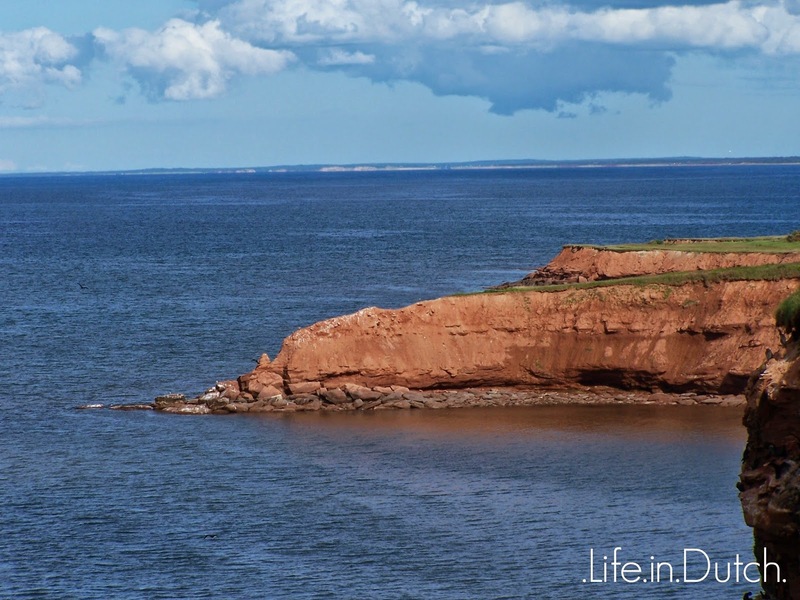 Driving around the island, it's hard to miss the bright contrast of the red and green of the crops growing on the farms or the island's amazing red cliffs. We also took advantage of the free national parks on the island and spent a day exploring the woods and the beach. The island is small and easy to drive across, so you have your choice of beach to explore, and marked paths run through all the national parks. 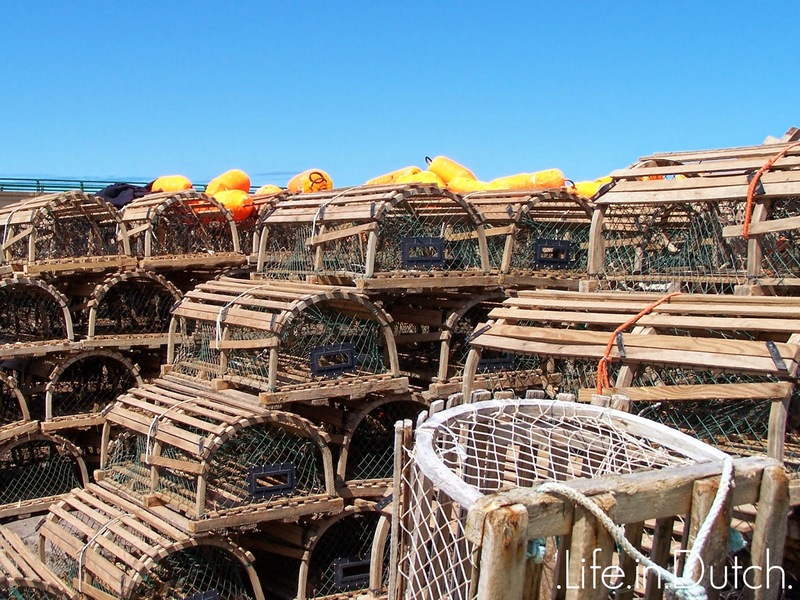 With a little bit of exploring, you can find some great lighthouses, docks, and nature. 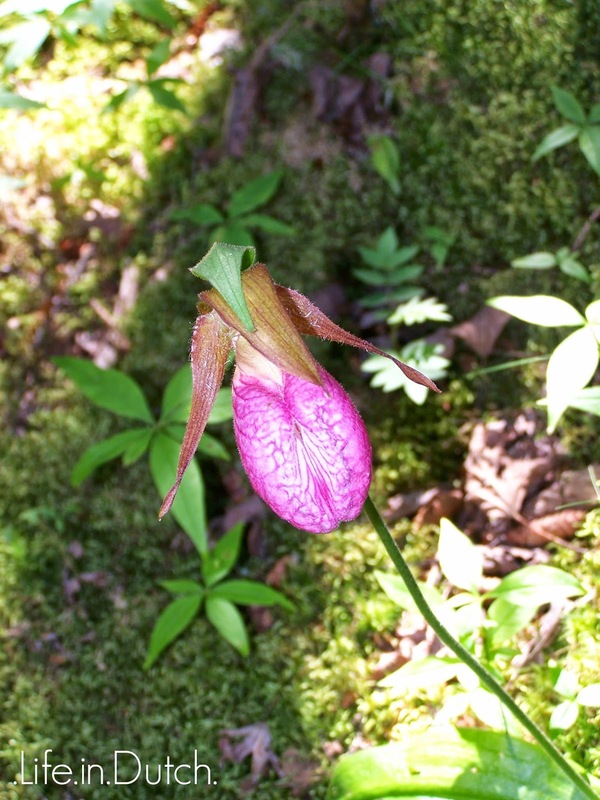 We were even lucky enough to come across a Lady Slipper growing along a path in the woods. 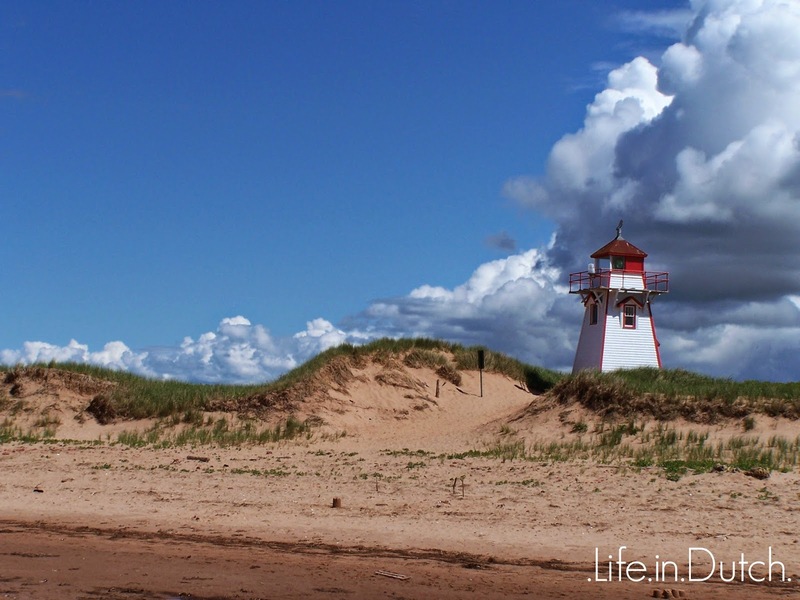 Have you been to Prince Edward Island? What were your favorite places/activities? 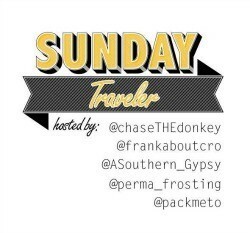 Today's post is part of the #SundayTraveler linkup hosted by Chasing the Donkey and friends. Please be sure to check out the other great posts! So gorgeous! 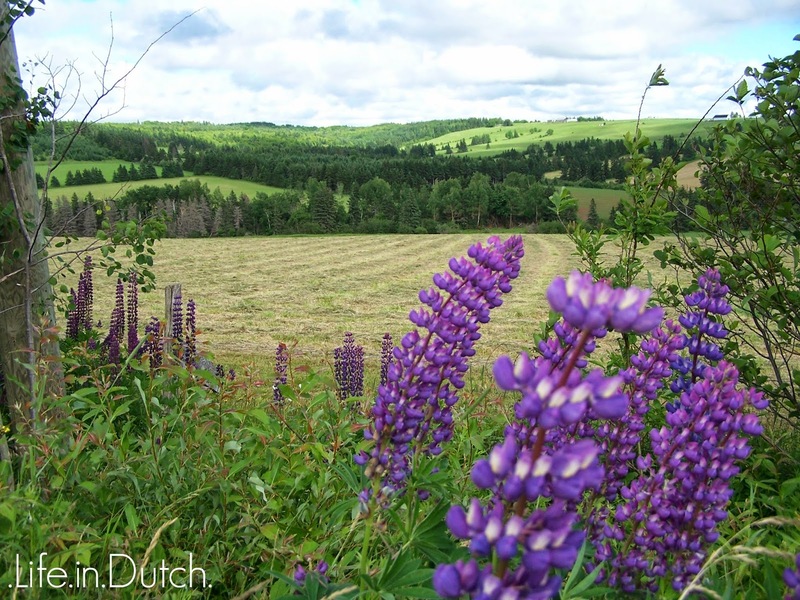 I've always wanted to go to PEI simply because of Anne of Green Gables. I adored the books as a kid and even now, I read them once every couple of years.